I like following quarterly commentaries from the top value funds. 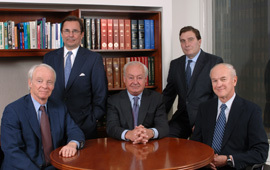 Tweedy Browne recently released their quarterly commentary for the 1st quarter of 2010. Tweedy Browne definitely is one of the top value funds around. Many value investors consider it to be the firm thats follows the most in the tradition of Ben Graham. They also had some interesting remarks about Berkshire Hathway’s purchase of Burlington North. Below are is the text. The Berkshire Hathaway acquisition of Burlington Northern was consummated during the quarter andthe Global Value Fund and the Value Fund received the bulk of its proceeds from the sale in BerkshireHathaway stock. We made the election to receive stock after a thorough analysis of Berkshire. WarrenBuffett was able to put a significant amount of cash to work over the last couple of years, and in light of thatwe felt 10% earnings power on Berkshire’s roughly $83,000 book value was reasonable, which meant thestock at the time of our analysis was trading at roughly 12 times the company’s earnings power. Berkshire hastraded up nicely since the completion of the deal. The full quarterly commentary can be found in PDF can be found at the link below.